While most barcodes you come across are printed on a label or paper-packaging of a product, in the manufacturing world and work-in-process applications many parts or components need to be marked with a barcode directly. Direct Part Marking is a process that allows users to mark a barcode directly on an item instead of printing the barcode on a label. DPM technology was first adopted mainly by the automotive and general mechanical industries. Currently, the popularity of codes using DPM technology has spread into different sectors including electronics, chemicals and healthcare industries. 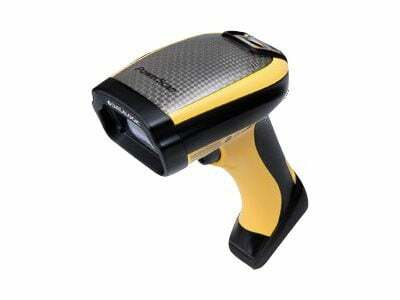 Datalogic has recently announced that the PowerScan PBT9500-DPM Evo rugged handheld imager is now available. The PowerScan DPM family is relying on the new enhanced Datalogic DPM decoding software and new electronics for improved results when scanning standard barcodes as well as bar codes marked with DPM (Direct Part Marking) technology. Direct Part Marking is a process that allows users to imprint a bar code directly on an item instead of printing the code on a paper label. Different technologies are available to directly mark objects: laser/chemical etching, dot peening and ink jet printing. Each of these methods has specific advantages and disadvantages in terms of durability, cost and ease of reading. The PowerScan PBT9500-DPM Evo reader is a cordless rugged handheld area imager specifically addressed and capable of reading codes marked with DPM.